“We discovered we have a hard pan in some of our fields, caused by years of tillage,” says Callicrate Cattle Company owner Mike Callicrate. 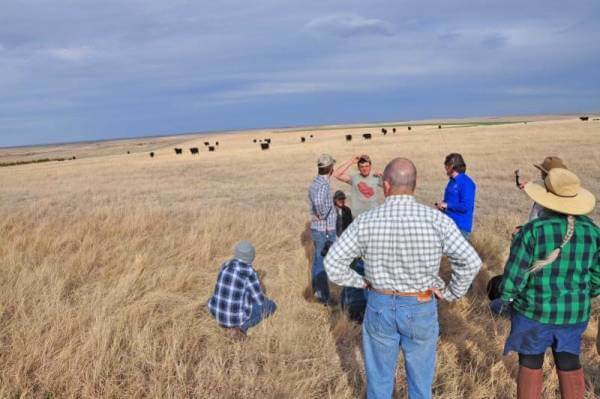 “We need to break that up with a yeoman plow and once we’ve done that we can start to do more cover cropping to put organic matter back in our soil. Mike says he also has some new strategies for catching water on the property. And he’s hatching plans for some additional improvements to the chicken trailers while continuing to rotate the cows through adjoining pastures. In addition, he envisions reforesting the landscape with fruit and nut trees.